i didn't post last week because i didn't know what to say, and i still really don't, but San Fadyl, the drummer for The Ladybug Transistor and the sweetest person you could hope to meet, died last Wednesday, April 25th, after suffering a severe asthma attack at home in Zurich, Switzerland. it's incredibly sad. a site has been set up for friends to share their memories of San, it's HERE. superchunk did some touring with Ladybug years ago and i have great memories of San both onstage and off, he was a funny, warm, singular guy and great to be around. we miss you, San! 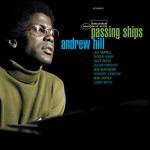 the modern jazz pianist i go back to the most is Andrew Hill , his well of composition, performances, incredible combinations of players, and just melodic thinking just seemed bottomless. Hill died of cancer this weekend at age 75, and has been remarkably productive in the last few years to the point where i had been enjoying his most recent album Timelines so much that i had forgotten that i knew he had been ill since 2004 when he was diagnosed with what killed him. i got to see him play once in the late 90's and it's as though his unique voicings and ideas flowed out of him undiminished even decades after he made his classic blue note sides. so many great older recordings have been reissued recently as well -- both solo and ensemble stuff from the 60's and 70's -- that there's a wealth of music to live with, but it's still sad that Hill's gone. the kind folks over at Schedule Two have posted some live video of the Portastatic show that Margaret and I did back on a cold February night. the egg shaker on White Wave was celebrating his birthday as well as his percussive skills. we're smiling at the beginning of Bobby Jean because i had just totally forgotten all the words and we had to start it over. when i say smiling, i do mean that Margaret is laughing at me. you can go straight to the Portastatic content HERE but check out the other cool stuff they have up! i'll be on local radio station WCHL 1360 AM Chapel Hill this afternoon from 4-6 pm as part of a panel on "the arts" in Chapel Hill and Carrboro i believe, could be interesting. i don't have any prepared remarks however. 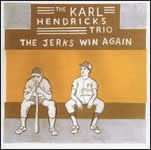 Karl Hendricks Trio - The Jerks Win Again / The World Says, "Jerks" being a classic Karl blast from '03 featuring such gems as "Chuck Dukowski Was Confused" and The World Says being a new one (maybe not even out yet?) from the Karl Hendricks Rock Band that continues Karl's unsung winning streak. been a fan since i saw Sludgehammer at the Fallout Shelter in Raleigh back in 90ish?, and while it requires some hunting you should really keep up with what guitar-slinger and lyricist extraordinaire Karl is up to! Eccentric Soul - Twinight's Lunar Rotation this installment being a double-disc package of soul and funk out of Chicago, most of it more commercial and less lo-fi than some of the other Eccentric Soul comps, with the usual Numero attention to detail, this is a great one. Rocket From the Crypt - Scream, Dracula, Scream! the major label debut is full of hits that never were, i sometimes forget about this record in relation to the first two or Live from Camp X-Ray, but i shouldn't. ok this weekend it wasn't nearly as crazy windy as it is outside today but the Full Frame documentary film festival took over Durham this weekend. It was funny and cool to see a) lots of people in downtown Durham, not known for its crowds of people, and b) all those same people wearing laminates like we were at SXSW or something. tons of great films of course and i didn't have a pass or time to see more than a couple, but the ones we saw were excellent and with a three-year old at home seeing two movies in one weekend is like a film festival in itself. Lian Lunson's Leonard Cohen: I'm Your Man reveals Cohen to be the loveable and wise misanthrope you'd hope him to be, and while some of the performances in the film were great (Rufus Wainwright, Antony and Jarvis in particular) i would have watched another couple hours of the Cohen interview footage. Saturday went to a double feature of A Son's Sacrifice and a hilarious & even moving documentary about the restaurant Le Cirque called A Table In Heaven. both were sons-taking-over-the-family-business dramas set in wildly different arenas (Son's Sacrifice is about a storefront Halal slaughterhouse in Queens). After A Table In Heaven finished Sirio Maccioni and one of his 3 sons were there and did a Q & A with director Andrew Rossi, really fun. I've never been to Le Cirque and i don't especially want to eat there any more than i did before seeing the film, but it's a pretty fascinating story, kind of like the real version of that terrible "reality" show The Restaurant. also entertaining this weekend, playoff hockey! in terms of who i actually care about, it's really down to reasoning like "i have friends in Nashville, it would be nice if they won" and "Superchunk had a good show in Calgary once" and "anyone but Buffalo" so i'm not terribly invested but it's still great to watch. Black Devil Disco Club - 28 After - as recommended by Caribou, i think there's a really interesting backstory here but i don't know it, i just like listening to it. will read up soon. Feist - The Reminder...or what of it i could find in the internets (don't worry folks i'm buying it when it comes out)...not as slick as Let it Die and this song The Park is killing me, what a voice. a depressing end to the hockey season down here in NC -- the Carolina Hurricanes' playoff hopes were snuffed by Tampa Bay last night after the Canes gave up a 2-0 lead and couldn't tie the game despite pretty furious action at the end of the game. really they played themselves out of the picture last week though when they had control of their own destiny and proceeded to lose two blowouts in a row, the second one to the worst team in the league (Philly). after that it would have taken winning out and some other teams losing, and Montreal doesn't appear to want to give up their spot at this point. as Tripp Tracy pointed out last night in the post mortem, the Hurricanes had a healthy team for literally TWO periods, not games, periods, all season. that led to inconsistency for sure but at times there was an inconsistency of will which is harder to explain considering what the same team did last year.